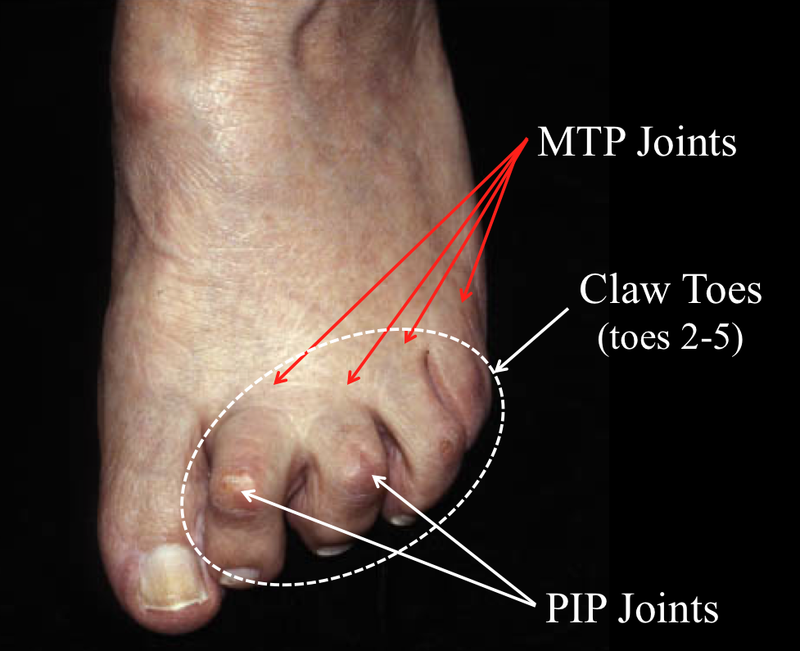 A clawtoe deformity that is not pronounced but does have an associated elevation and extension of the toe, may benefit from a lengthening of the tendon that pulls the toe upwards (Extensor digitorum longus). Recovery usually requires 6 weeks of immobilization or relative immobilization to allow the tendon to heal. It may be possible to move the toe before then, depending on what other procedures have been done. Under or over lengthening of tendon. If the tendon is over-lengthened, the toe may fall into a more flexed position. If it’s under-lengthened, an inadequate correction may be obtained. Failure of the tendon. If the tendon does not heal, the functioning of the tendon may be limited or absent. Increase scarring. There can be significant scarring at the base of the toe that can limit the movement of the tendon, and therefore can limit the function of the toe. Vascular injury. Injury to the blood supply to the toe is uncommon. However, it is possible for the blood vessels supplying the tip of the toe to be injured. If this does occur, necrosis or partial loss of tissue at the tip of the toe may occur.